"One duck, a thousand treasures." Since 2010, we've been working towards an adaptive model for heavy soils and a shifting climate, and have been planting rice using organic methods. We're now expanding cold-climate ecological rice farming to the commercial scale, in partnership with other growers and with counsel from practitioners in Japan. 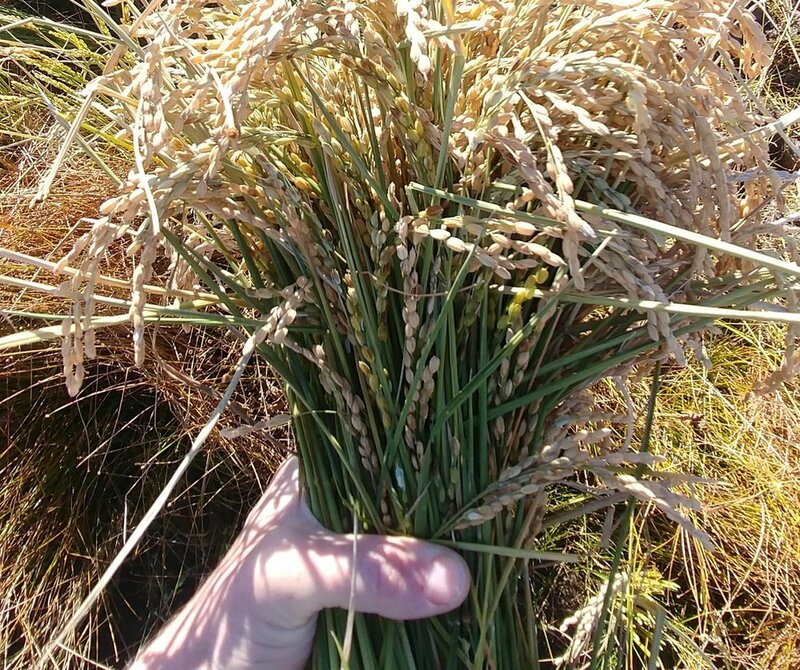 Ecological rice farming has been, for us, a demanding but beautiful (and delicious!) adventure. A splendid sheaf of New England rice!